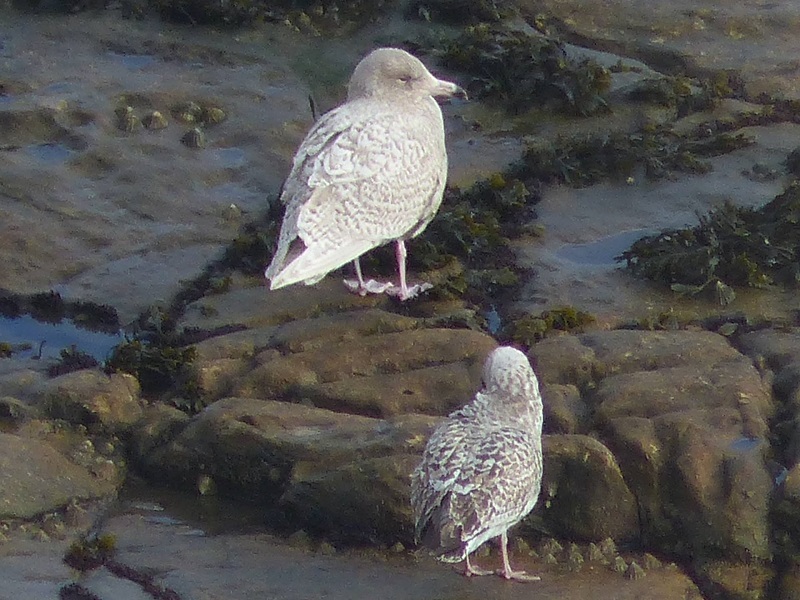 All the action today came from Long Nab where observers were present for most of the day from 07.45 – 16.45. The highlights of the day were the first March record of Sooty Shearwater which went south at 10.08, a 1st winter Glaucous Gull feeding in the surf about 200 metres north of the Obs and present for about 50 minutes before moving off and 3 Little Gulls (2 heading south one of which lingered for over an hour and 1 N). Also from here during the morning a blue phase Fulmar went north and an Eider, 2 Common Scoter, 42 Shags, 352 Kittiwakes and a Puffin all moved south. The only other news today came from Scalby Lodge Pond where there were 71 Wigeon, a Shelduck and a Dunlin.